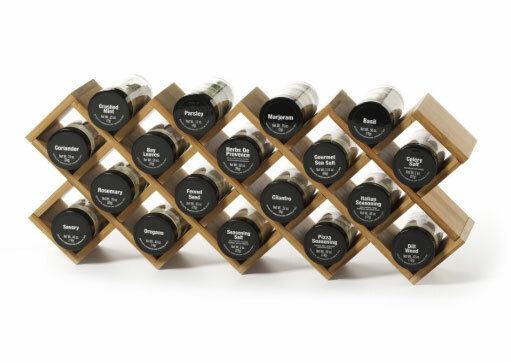 What is it about spice racks that I love? They rank up there with herb garden markers for me, they’re just fun! Do you feel this way too? 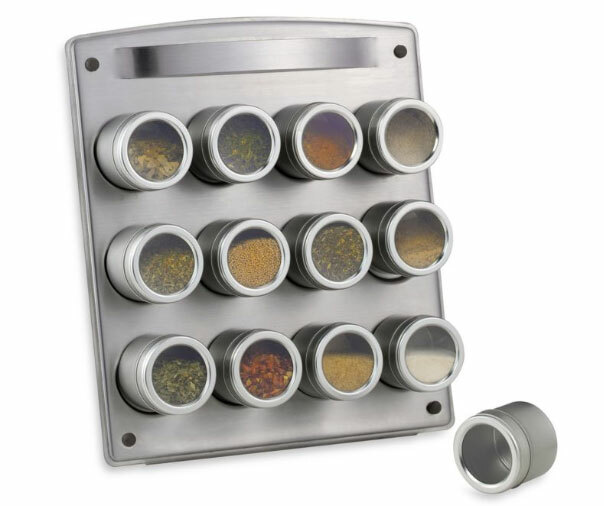 My spice rack is hung on my kitchen wall (shown above), it helps to save cabinet space and it’s also decorative. This spice rack in unfinished wood* is the most like mine which was also unfinished wood at the time I got it. A friend had given those to me when she no longer wanted them and I painted them black. I bought new spice jars for them with black tops and used round chalkboard labels to label them. 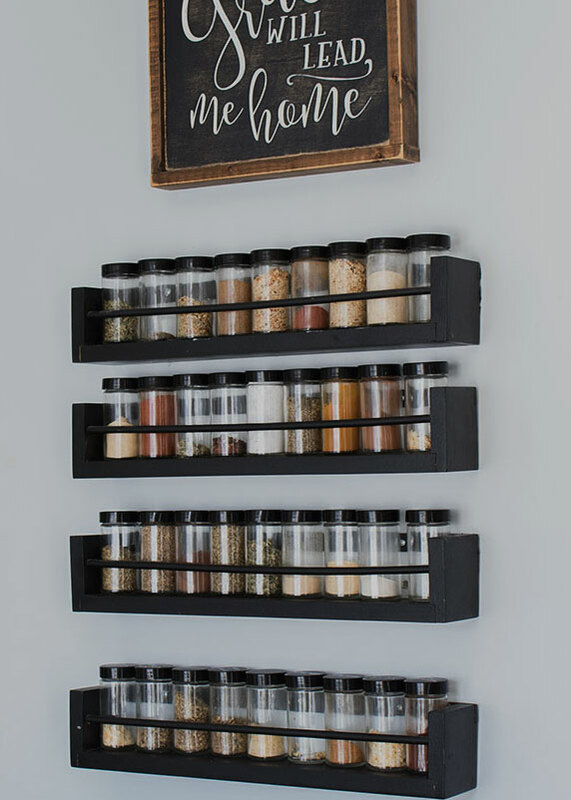 I’ve seen so many cute spice racks around the web lately that I thought I’d share them today in case you’re looking. Even if you’re not, chances are you might want to upgrade after seeing some of these! 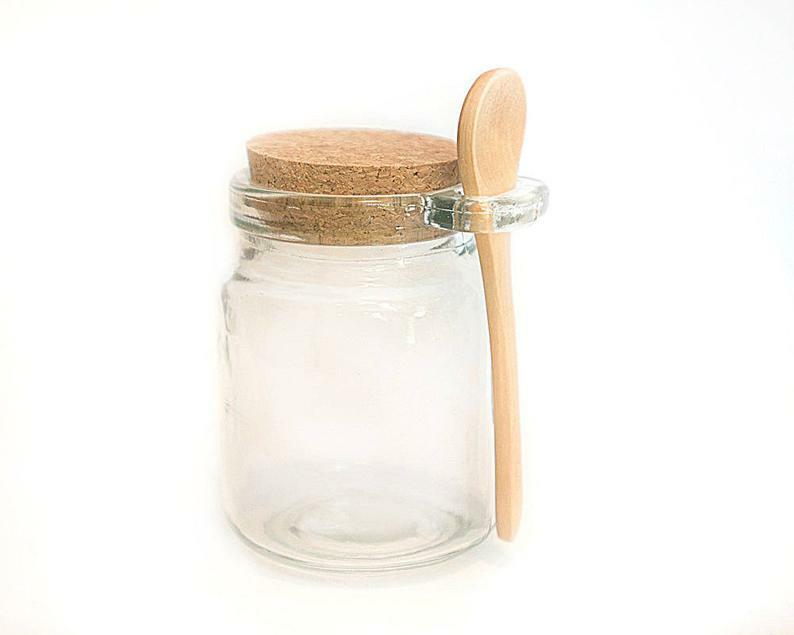 This set of hanging jars is beyond adorable! 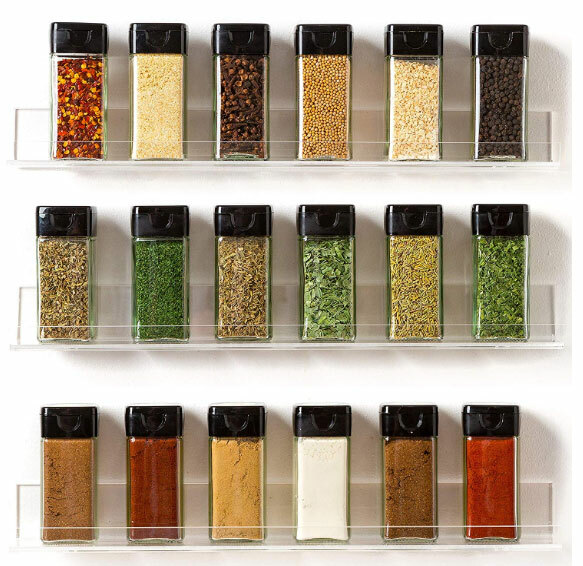 The criss cross spice rack is so versatile, it can sit on a counter, hang on the wall or be placed in a drawer. It also comes prefilled with the spices. 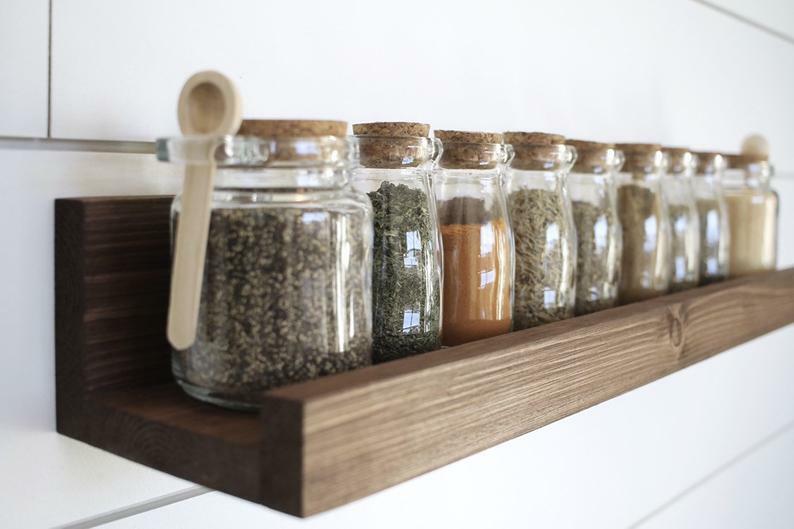 For a clean, modern look this set of three invisible spice racks would work, the jars are sold separately. What I like about this countertop spice rack is that it wouldn’t take up much counter space, considering it’s vertical design. If you’re looking for a great value, check out this spice jar set. 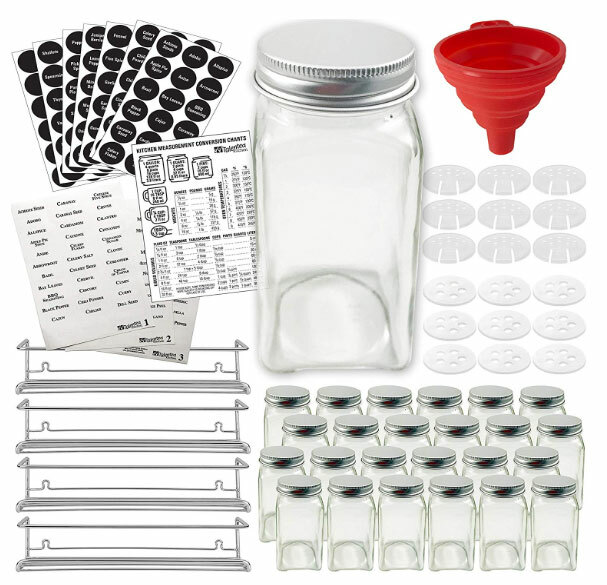 It comes with 24 spice jars, two sets of labels (both black and clear), the wall racks and even the cutest little funnel to fill the jars! You can also purchase this whole set minus the wall racks here. I imagine this wooden ledge in a mostly white kitchen with wood-toned accents. 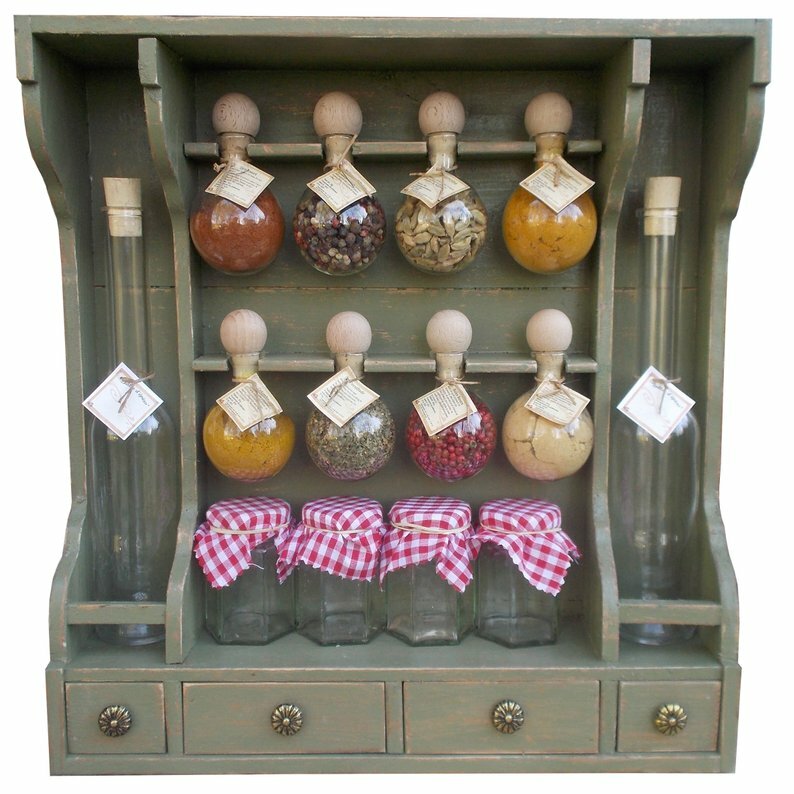 The spice jars shown above are sold separately, you can find them here. They are a little expensive but SO cute! This magnetic spick rack with easel looks neat. 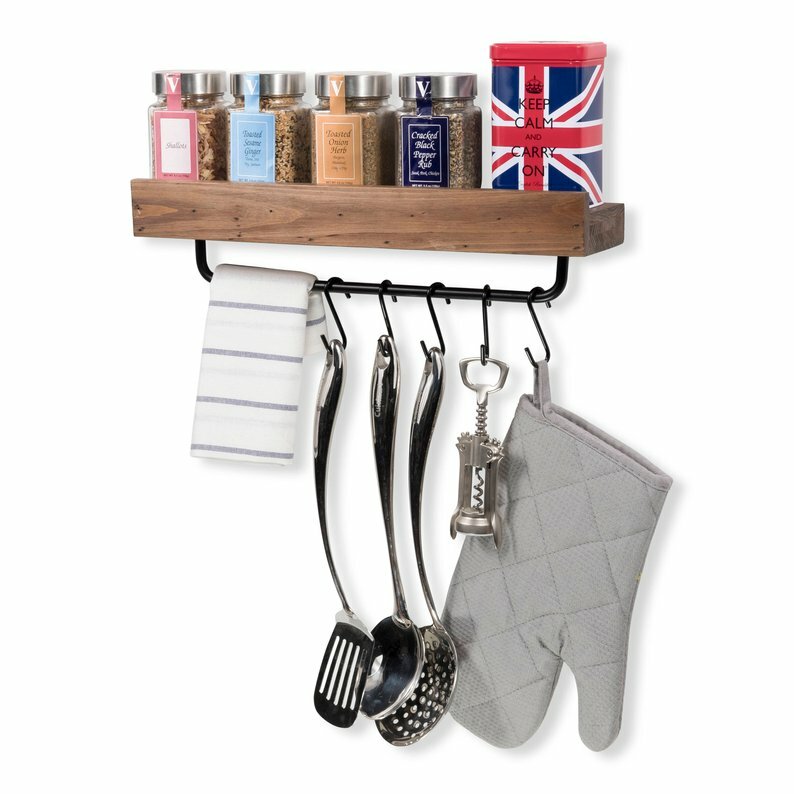 Gain additional store with this kitchen shelf with hooks. This farmhouse style rack one might be my favorite because it’s so unique, but it’s a bit on the expensive side. It comes with all of the jars you see here, it’s custom made and there is a variety of colors to pick from. 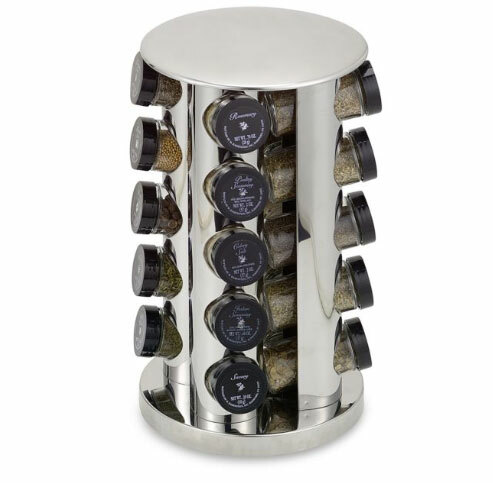 It also comes in a super-sized version that is like the Rolls Royce of spice racks. 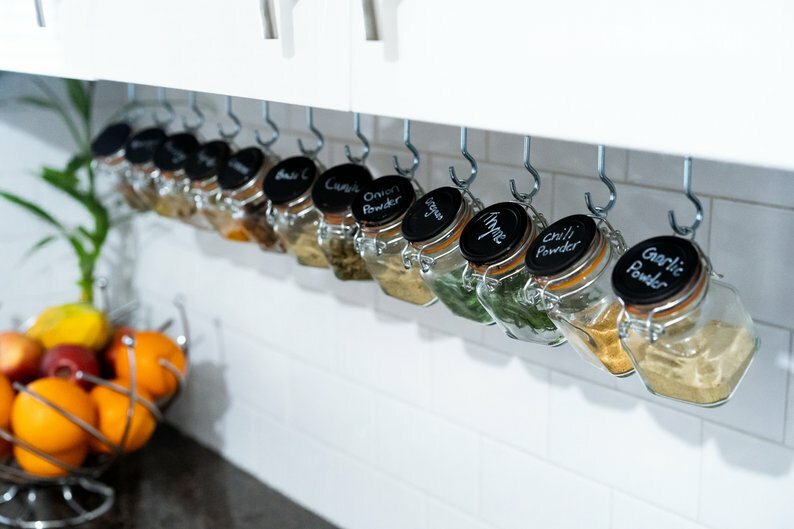 If you prefer to not have your spices on display, you can try a drawer organizer for spices, a hanging rack for behind your cabinet doors or these stacked shelves for inside your cabinets. 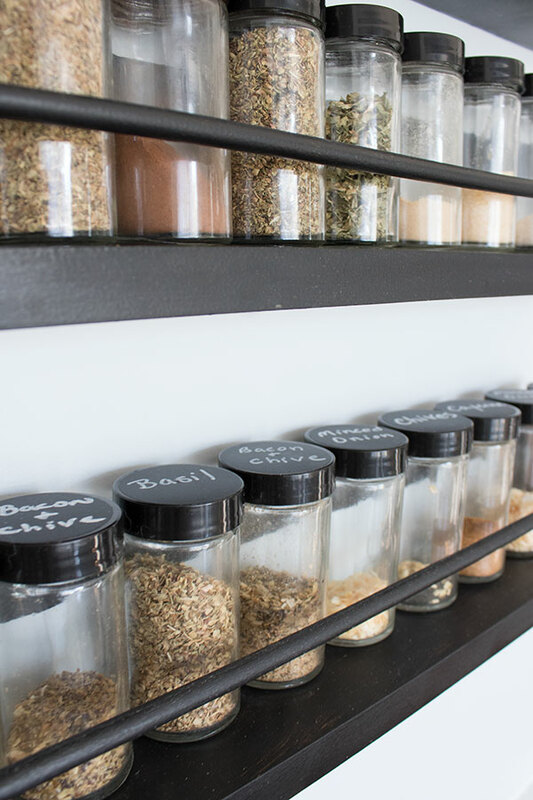 You can also see how I DIY’ed a spice rack organizer for a friend of mine a few years ago! On a side note, I had a slight issue with my email server last week, in case you missed it you can see how I transformed my bathroom with sink paint here!